After some exhaustive and detailed research, Hugh Sexey Middle School is now convinced by the incredible contribution mobile technologies can have during lessons. 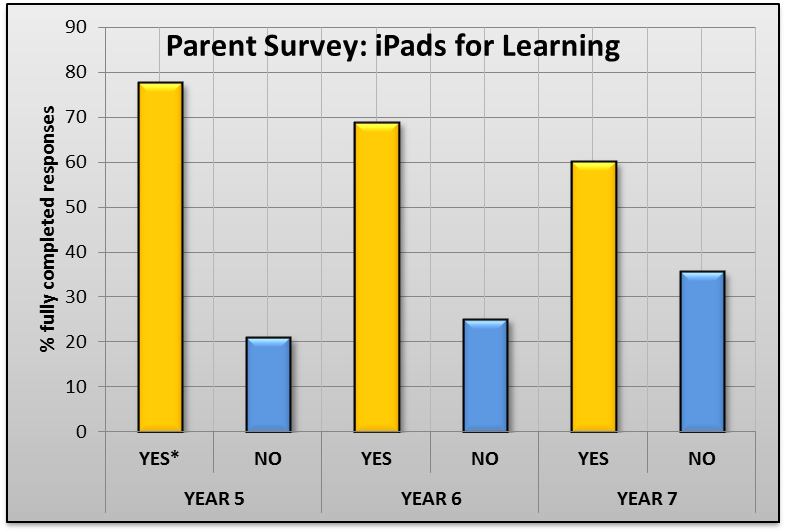 To better understand the perspective of parents and carers, we recently gave a presentation on an exciting new opportunity for parents to contribute to the purchase of iPads. During the presentation, information was shared on how this scheme would proceed and how iPads could transform learning in our school. After this presentation, parents were invited to complete a short survey to help us decide if there is sufficient support for the scheme. To be sure that no child would be disadvantaged in lessons by not having access to a device, we set the bar very high indeed; needing at least 90% of parents to show their support in the scheme. Equality in learning will always be one of our primary concerns. Happily, the results indicate that a significant majority of parents with children in years 5, 6 and 7 support the idea. However, despite the keen level of interest, particularly by parents with children in year 5, we are currently unable to guarantee that all pupils will have equal access to these devices. As equality in learning must come first, we have decided to modify our approach to bringing iPads into the classroom. As parental contribution typically lasts for 3 years, parents have let us know that interest in the scheme is much more significant in our lower year groups. As a result, we will present the scheme to prospective parents and gauge whether this scheme can be brought in as pupils join us in year 5. Should the response be overwhelmingly positive we hope to offer this option to parents of year 4 pupils as part of a phased introduction of iPads from September. We offer our sincere thanks to our parents for listening to our ideas and for completing the survey. With your support we will continue to do all we can to provide an outstanding educational experience for the pupils of Hugh Sexey Middle School.